Not many people would want to be standing in Bernie Madoff's shoes. However, when it comes to baseball, bidders are lining up for the opportunity to sit in his seat. Well, seats, actually -- the renowned Ponzi schemer had two of them, which are currently up for sale on eBay. 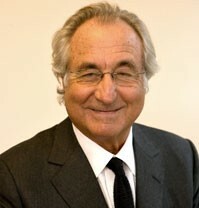 In many things, Bernie Madoff was a man who appreciated quality. Whether it was a yacht on the Mediterranean, a chateau in France, or a penthouse on Park Avenue, the disgraced money man believed in treating himself to the best that life had to offer. Even if Bernie's baseball team of choice, the New York Mets, aren't the most popular players in the league (or the division, or even, um, the city), Madoff's season tickets were almost perfect. Part of the Delta Club Platinum section, they were located in the second row and came with access to the Delta Club, which is situated behind home plate. Madoff's company paid $80,190 for the season tickets, and the pair are worth $590-$1,390 per game, which places them among the priciest seats in the ballpark. Of course, those are only the list prices; depending upon the matchup, the actual sale prices could easily go much higher. The Mets' owners, who were among Madoff's victims, agreed to exchange his Delta Platinum seats for Delta Gold seats, refunding Madoff's lawyer an additional $19,440 -- the difference in price between the two sets of tickets. Madoff's lawyer, in turn, has agreed to auction the individual game tickets off on eBay, and the proceeds will go to Madoff's victims. The tickets for April 13's regular season opener, which retail for $695 apiece, are currently going for $1,700. Located on the home plate side of the Mets' dugout, they offer a commanding view of the field. While we can't confirm the actual listing, these tickets are comparable. Given those impressive prices, it's worth noting that Madoff might not be the only thief involved in this particular scam. This season, both the Mets and the Yankees are debuting new ballparks. The two stadiums, with a combined construction cost of approximately $2.3 billion, were largely financed with an estimated $1.8 billion in public funds. Although some have argued that a city plagued by underfunded schools and crumbling infrastructure probably shouldn't have built two of the most expensive stadiums ever constructed, there is also a lot to be said for huge public projects that inspire the populace. The sad thing, however, is that these magnificent monuments aren't really designed to inspire most New York sports fans. The average ticket price for a seat in the Mets' new stadium is $39, while Yankees tickets run almost $73. In the case of the Yankees, this represents an increase of more than 73% over last year's prices. As one critic stated, "You have a stadium paid for by taxpayers that taxpayers can't afford to get into." Madoff and New York's expensive ballparks are linked by a lot more than a pair of season tickets. Over the past few years, as the city's (and the country's) richest 1% have gotten even richer, there seems to have been a growing belief that wealth not only is, but should be the key to a better life. The concept seems to be that rich people deserve to have huge tax breaks, publicly-funded playgrounds, gargantuan bonuses and palatial homes. As wealthy Mets fans settle into Bernie's seats and Bernie settles into his new career making license plates, it might be worthwhile to reconsider whether or not the basics of a good life -- including a day at the ballpark -- should be reserved for only the wealthiest among us.